Three hopefuls who are passionate about learning the craft of stained glass are put through their paces by Sophie Hussein, an expert in the field. 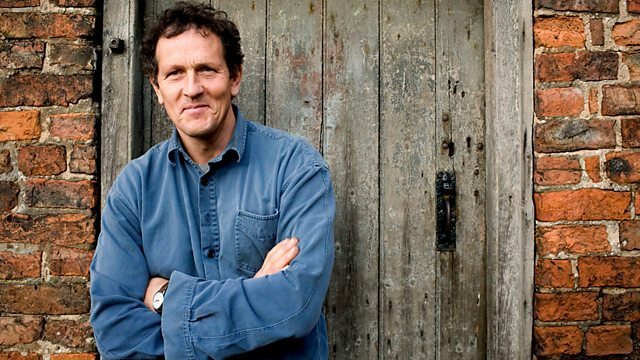 Monty Don puts three more passionate beginners through their paces as they follow their dreams of learning the ancient craft of stained glass. The knowledge of manufacturing glass was brought to Britain by the Romans over two thousand years ago along with the seed of a new religion called Christianity. As this religion flourished and the great cathedrals of the Middle Ages soared up towards heaven, so the craft of stained glass rose to a similarly transcendent level as it strove to tell Bible stories to a largely illiterate congregation while pouring God's light into these Gothic buildings. In this episode, full-time mum Abigail Ross, 40, trainee architect James Wignall, 24, and grandmother Valerie Rolls, 67, take up their places as enthusiastic beginners in a south London glass studio to learn this ancient craft. It takes four to five years to train properly as a stained glass craftsman. During their six-week course, our trainees will learn the foundations of the craft - from how to cut glass incredibly accurately to leading up and glazing a window. As they are instructed by their mentor Sophie Hussein, who has been working in the field of stained glass for nearly twenty years, Monty will explore the importance of stained glass and follow its journey, not only through history, but also from its molten raw state to its finished splendour within a stained glass window. Can the apprentices grasp the craft and end up following in the footsteps of the master glazers of the past by designing and making a story window fit to grace a public building?